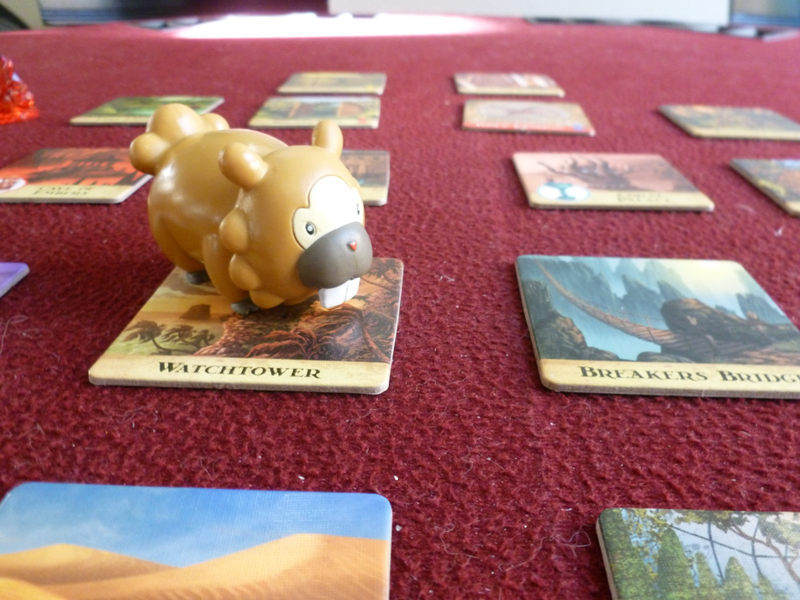 Forbidden Island is a light filler good for both kids and adults alike. 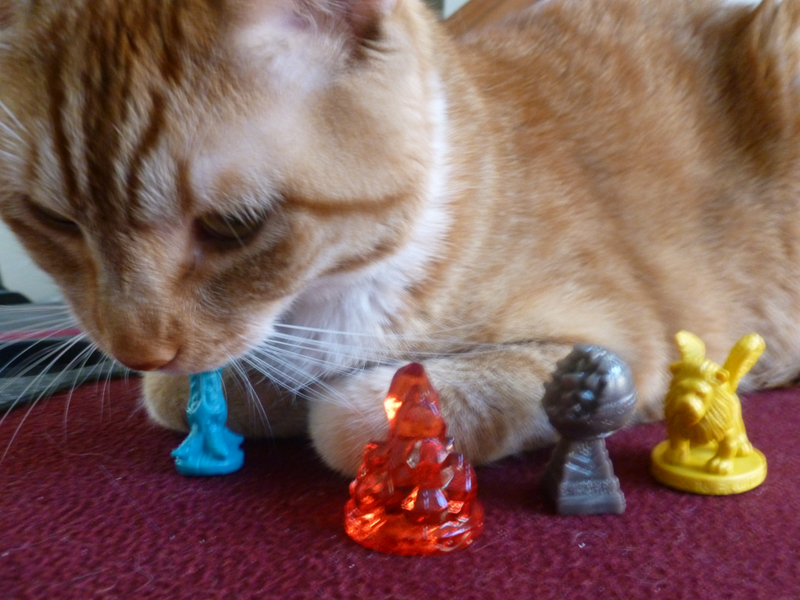 A similar game to Pandemic, players take up the roles of treasure-seeking adventurers trying to get all four treasures before the island sinks into the abyss. 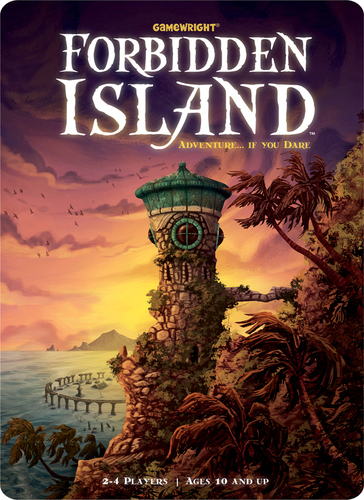 Like Pandemic, Forbidden Island can suffer from a strong personality directing everyone else. So slap some tape on Bossy McBosspants’ mouth and let everyone figure out what to do on their own turns! With a limited amount of actions (3 per turn; unflood or “shore up” a tile, turn in treasure, move, or trade treasure cards), most people – even the chillins – will be able to figure out what to do on their own. We actually prefer this game to Pandemic, maybe because we played both this and Defenders of the Realm first – this being a perhaps simplified Pandemic and Defenders being more complex. It’s shorter and I like the art much more, as well as the ability to flip the tiles around. You get the same urgency of having to save the island (or the world) before you pull too many cards that doom it, but fixing the problems is much more manageable and the game usually plays much quicker. That said, if you like the idea of an epidemic or a flood making things difficult but think Forbidden Island is too simple for you and don’t want a longer game, Pandemic might be a better choice for you. For us, Forbidden Island scales much better for 2-4 and we enjoy the components of the game more. Since the games are very similar play-wise, we’ll stick to the one we like looking at more and keep it as a filler since the gameplay is simple, letting us play more complicated games for our feature presentation. In short: pretty, simple, and usually fast. Finding the best way to solve the problem is fun, but don’t be bossy!